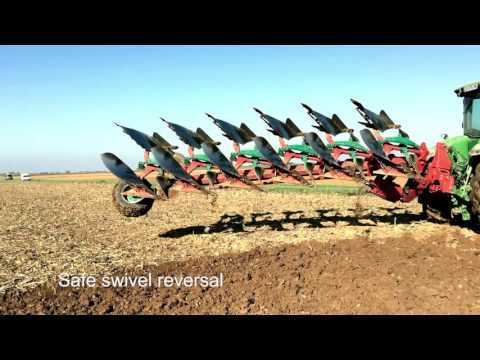 Kverneland steel and heat treatment technology to the complete plough! For tractors up to 280hp (206kW). Variomat® from the cabin (12” to 24”). Self adjusting pull line. Wheel: frame mounted Kverneland belt for wet conditions, 65 x 30cm, covering the plough working width.